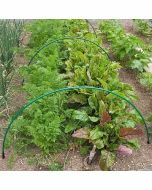 Provide enhanced frost protection (-5/6ºC) for tender plants and shrubs as well as protecting early potatoes with our strong, UV stabilised, spun bonded, 30g Warmacrop™ fleece. 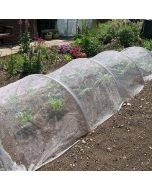 Also provides effective and economical greenhouse insulation, providing warmth without condensation. In winter, 30g fleece may be fixed inside the glass to give a ‘double glazing’ effect. It is easy to secure, simple to remove and is re-usable. 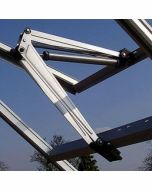 In Aluminium greenhouses it may be fixed to glazing bars using clips or double-sided sticky pads. 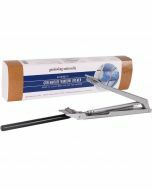 In wooden greenhouses it may be fixed to the glazing bars using drawing pins or double-sided sticky pads. 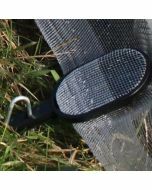 30g fleece may be used for overnight protection of bedding and other plants which are being ‘hardened off’. If used with care, the material may be re-used several times. It is machine washable at a temperature not exceeding 40oC. It may be easily cut with sharp scissors. When not in use, store out of direct sunlight and in a vermin proof environment. Re-use: If used with care, the material may be re-used several times. It is machine washable at a temperature not exceeding 40oC. It may be easily cut with sharp scissors.